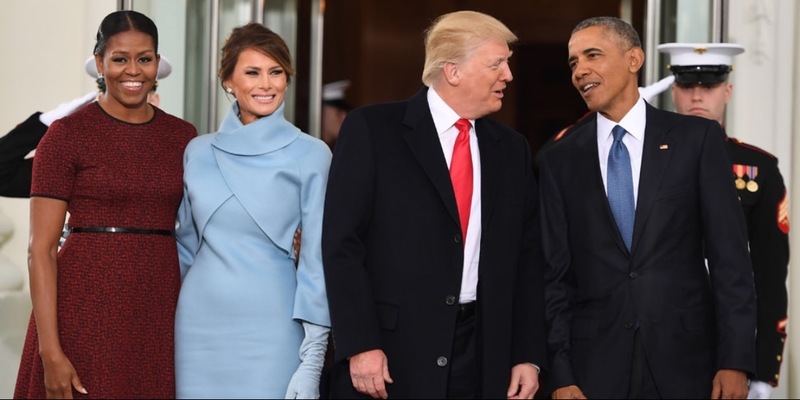 This morning, Barack and Michelle Obama met with President-elect Donald Trump and future First Lady Melania Trump for a peaceful transition of power at The White House. 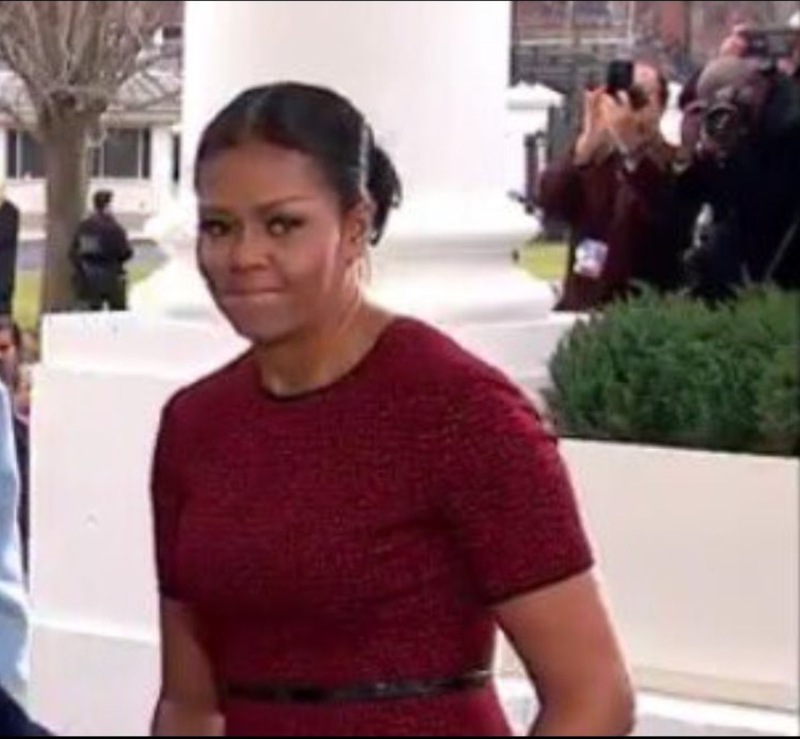 For her final appearance as First Lady, Michelle Obama stunned in a red printed dress with a black belt and pumps. 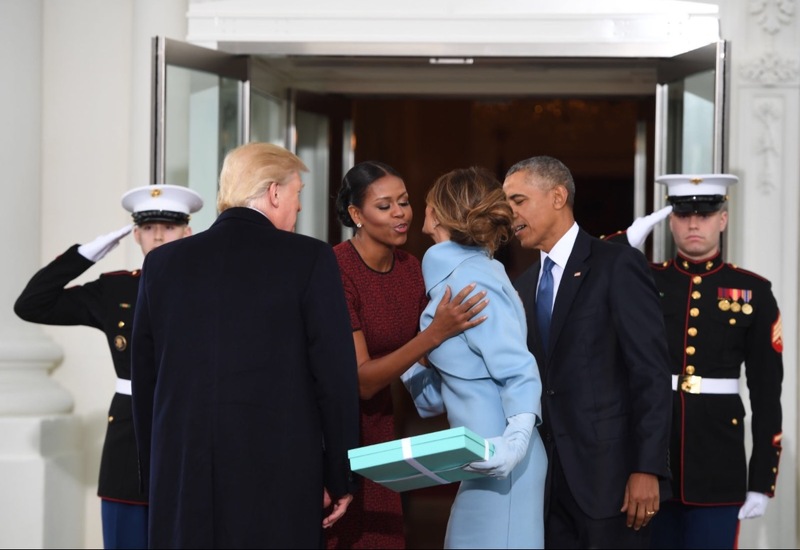 Melania, who arrived in powder blue Ralph Lauren, presented Michelle with a Tiffany’s box as a gift upon her arrival. Do we detect a smirk? 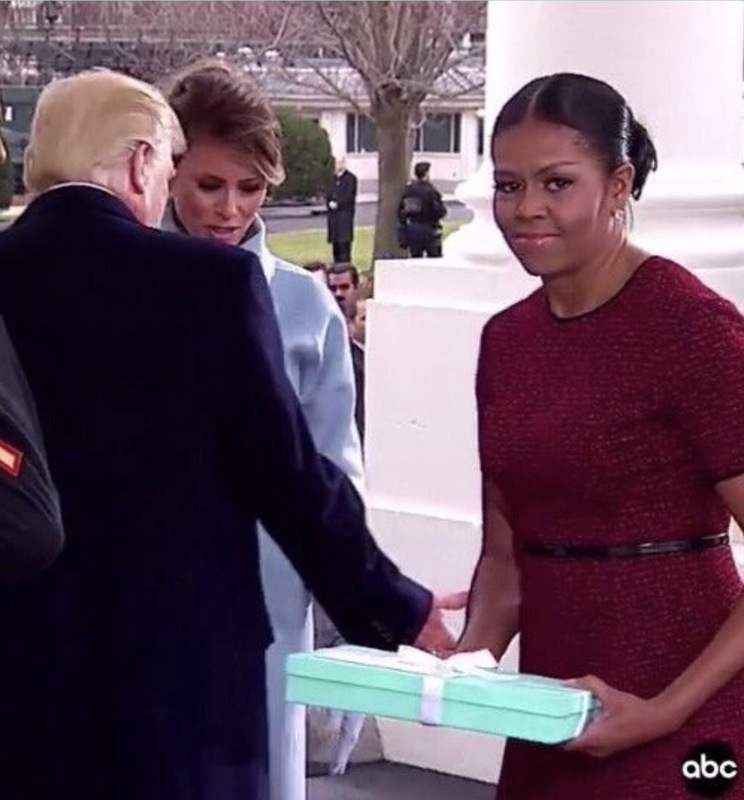 Is she not pleased with this gift? Who will dress Slaylebrity Melanie Trump for the inauguration? 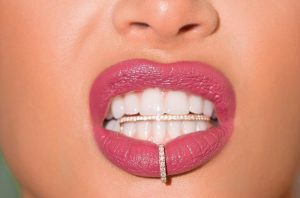 Who are Natalie Halcro and Olivia Pierson?